Congo is a game information page. It is categorized as: Orthodox chess, . Author: Christian Freeling. Inventor: Demian Freeling. Click on the above link to view logs of Congo played on Game Courier. Here is one of the sets I have. 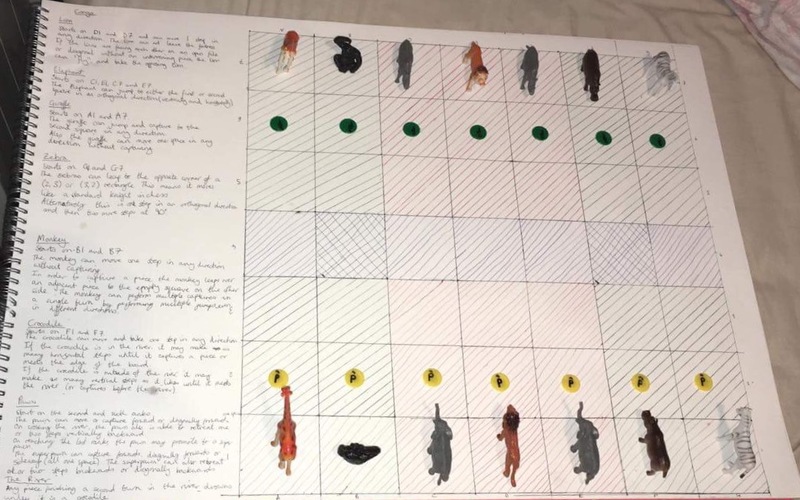 The animals were bought in a hardware store in Ireland, and the board was drawn on A2 paper. The counters were bought online very cheap because I needed some for my chu shogi set. I also have a smaller set just using the counters. Thanks Ben, I appreciate it. I've edited the footer to include a link to the comment listing when on mobile. Okay thank you. Is there anyway to view these comments without being on a desktop?